WASHINGTON–The United States is experiencing a dramatic shift in its energy fortunes. After years of declines, oil and gas production are on the rise, and some terminals that not long ago had been constructed to receive imports of liquefied natural gas now are being modified to handle LNG exports. These developments have been made possible by recent technological advances that have unlocked vast sources of natural gas as well as oil trapped in shale formations. The ability to economically produce these reservoirs, particularly shale gas, has been termed a “game changer” by a number of energy analysts, and offers the potential for significant impacts on America’s energy security and climate change initiatives. Hydraulic fracturing is the key to unlocking shale gas and other unconventional oil and gas reserves. The technology has been used in the United States for the past 60 years to enhance production from oil and gas wells in a wide variety of formations. Experts have estimated that more than 90 percent of all producing U.S. oil and gas wells are hydraulically fractured. Without hydraulic fracturing, it simply would not be economically feasible to tap most unconventional reserves, and the “shale gas revolution,” in particular, would not be possible. Because of its key role–and despite a long history of successful regulation of hydraulic fracturing operations by the states, and the safe and effective use of the technology in the United States–concerns among some members of the public about the increased production of shale gas has focused on hydraulic fracturing. Allegations have been made by environmental groups and others about drinking water well contamination and other purported impacts of hydraulic fracturing operations, but these allegations have not been scientifically confirmed. Nevertheless, in response to these unconfirmed allegations, regulators and legislators at the federal, state and local levels as well as in a growing number of countries around the world have undertaken initiatives over the past few years to impose additional restrictions and requirements on hydraulic fracturing activities. Legislation reintroduced in Congress (HR 1084 and S 587) would require the regulation of hydraulic fracturing under the federal Safe Drinking Water Act, resulting in additional permitting requirements and other restrictions on fracturing operations that could lead to significant administrative burdens, delays and costs for well operators. This proposed legislation, called the Fracturing Responsibility and Awareness of Chemicals Act (FRAC Act) also would require service companies to publicly disclose the chemical constituents of all fracturing fluids, a requirement that goes beyond any chemical disclosure requirement under any other applicable federal program in effect today. In the meantime, the U.S. Environmental Protection Agency has taken a number of steps to address various aspects of hydraulic fracturing. The EPA activity that has received the most attention involves a new study of the relationship between hydraulic fracturing and drinking water initiated at the direction of Congress. As part of this effort, the agency has released a proposed study plan that lays out a broad approach to its study of hydraulic fracturing and potential impacts on drinking water sources, pursuant to which EPA will study what it has described as the full “life cycle” of water associated with the hydraulic fracturing process. For example, according to the draft study plan, EPA will review the withdrawal of water for use in hydraulic fracturing fluid, the management of frac fluids at the well site and injection of fluids into the subsurface, and the management and disposal of wastewater generated subsequent to the hydraulic fracturing process, such as flow back and produced water. The draft study plan (http://wa­ter.epa.gov/type/groundwater/UIC/class2/hydraulicfracturing/index.cfm) has received an extensive review from EPA’s Science Advisory Board and has been subject to public comment. The initial results of EPA’s study are expected by the end of 2012, with a final report due in 2014. At the same time, EPA has taken several other steps to increase its oversight and regulation of hydraulic fracturing. In June 2010, EPA posted statements on its website indicating the agency would be attempting, for the first time, to regulate hydraulic fracturing using diesel fuel or diesel-based additives under the Safe Drinking Water Act pursuant to the authority provided to the agency under the Energy Policy Act of 2005. Industry groups have challenged this website “rule making” based, among other things, on EPA’s failure to comply with key rule making requirements under the federal Administrative Procedure Act in imposing these new requirements. In addition, EPA’s proposal to regulate wells being hydraulically fractured as Class II Underground Injection Control wells is inconsistent with the agency’s prior position that the regulations applicable to these wells are not suited to hydraulic fracturing operations. Notwithstanding this challenge, EPA is proceeding to develop guidance regarding how its regulations for Class II wells should be applied to hydraulic fracturing operations that use diesel fuel. EPA also is addressing issues relating to other aspects of oil and gas well development. For example, the agency is taking steps to address discharges of flow-back and produced waters from oil and gas wells to surface waters. EPA has issued guidance concerning the regulation of discharges of flow back from Marcellus Shale wells to surface waters under the Clean Water Act, and is in the process of developing effluent limitation guidelines under the act for discharges of produced water from coalbed methane wells. In the meantime, the Natural Gas Subcommittee of the Secretary of Energy Advisory Board is expected to issue its own report on hydraulic fracturing in the near future. This report is expected to include steps to “improve the safety and environmental performance” of hydraulic fracturing and recommendations for shale gas development practices to ensure the protection of public health and the environment. State regulators and legislators also are increasingly undertaking efforts to impose new or additional requirements on hydraulic fracturing. For instance, last year both Wyoming and Pennsylvania updated and amended their oil and gas regulatory programs to more specifically address hydraulic fracturing operations, while the Arkansas Oil & Gas Commission enacted regulations specifically requiring service companies to maintain master lists of chemicals used in hydraulic fracturing operations in the state, and to provide those lists to the commission. However, Arkansas regulators recognized that “trade secret” information warranted protection from public disclosure and provided alternative reporting options for any chemical that constituted a trade secret. The legislative and regulatory activity at the state level has continued in 2011. Since the start of the year, legislation addressing the disclosure of chemicals used in hydraulic fracturing has been enacted in Texas and Indiana. Similar legislation was considered in states such as Illinois and West Virginia, and is currently being debated in California. Some state legislatures, such as in Maryland and New Jersey, have gone so far as to consider outright bans on hydraulic fracturing, which would effectively preclude any oil and gas development in shales or other unconventional formations in those states. A number of local jurisdictions, most notably in New York and Pennsylvania, likewise have moved to adopt ordinances purporting to prohibit hydraulic fracturing within their borders, despite significant questions about the authority of these municipal governments to regulate oil and gas development activities. At the same time, rule making processes addressing hydraulic fracturing are under way in Louisiana, Montana and Idaho. As one of the key state efforts, the New York State Department of Environmental Conservation continues to consider revisions to its oil and gas regulatory program to address high-volume hydraulic fracturing operations in horizontal wells drilled in the Marcellus Shale. As part of this process, NYSDEC is assessing the potential environmental impacts of these activities by preparing a supplemental generic environmental impact statement. After reviewing more than 13,000 comments from members of the public on its initial draft of the SGEIS, NYSDEC has issued a revised draft of the SGEIS in which it is proposing to allow hydraulic fracturing of Marcellus Shale wells on private lands, subject to certain restrictions. Among other proposals in the revised draft, high-volume hydraulic fracturing would not be allowed in certain watersheds from which New York City and Syracuse obtain drinking water or near certain other aquifers, while operators who receive permits to drill wells would be subject to additional requirements concerning well casing and the use of tanks to manage wastewater. The Department of Environmental Conservation will provide a public comment period of 60 days on the revised draft of the SGEIS, effectively extending a de facto moratorium on Marcellus Shale gas development in the state for at least the near future. Finally, much of the legislative and regulatory activity at both the federal and state levels has focused on the issue of transparency regarding the makeup of hydraulic fracturing fluids. In an effort to address this issue on a consistent, nationwide basis, the Interstate Oil & Gas Compact Commission and the Ground Water Protection Council have developed and launched a hydraulic fracturing chemical disclosure registry based on a website (www.fracfocus.org) that is designed to provide the public with ready access to information provided by well operators in a consistent format regarding the fluids used in fracturing individual wells. Many operators are participating voluntarily in this public disclosure and education effort, and states such as Texas are incorporating the registry in their disclosure requirements. Additional regulatory requirements at the federal, state and local levels could significantly disrupt hydraulic fracturing operations and dramatically impact domestic gas production. For example, the U.S. Department of Energy has estimated that regulating hydraulic fracturing under the Safe Drinking Water Act would add more than $100,000 to the cost of drilling and operating a natural gas well. At the same time, proposed rules requiring the full disclosure of the formulas of proprietary products used in hydraulic fracturing would jeopardize service companies’ trade secrets. The risk posed by this type of disclosure creates substantial disincentives for service companies to engage in the necessary research and development of hydraulic fracturing fluids and to use their state-of-the-art technologies, which have proven critical to the economic development of U.S. domestic energy resources. These potential impacts on oil and gas production will not be limited to the United States, as efforts to impose restrictions on or even ban hydraulic fracturing can be seen in Canada and in countries such as France, Australia and South Africa, based on many of the same fears and unfounded allegations that have characterized the debate in this country. The need to impose these new requirements on hydraulic fracturing operations certainly remains subject to question. Hydraulic fracturing poses little to no threat to drinking water supplies. Contrary to popular allegations, there is no evidence that hydraulic fracturing has contaminated any drinking water supplies. In fact, state regulators repeatedly have stated that they are not aware of any instances of contamination of drinking water aquifers as a result of hydraulic fracturing operations, a conclusion affirmed by Lisa Jackson, administrator of the EPA. A number of studies have confirmed that hydraulic fracturing poses minimal risk to drinking water aquifers. These conclusions are logical, given the nature of hydraulic fracturing activities and the various geological and technical factors that prevent any significant migration of fracturing fluids upward from targeted production formations and into shallow drinking water wells thousands of feet above. In addition, well construction practices and zonal isolation techniques such as casing and cementing help ensure that fluids in the well bore will not come in contact with groundwater that may serve as a source of drinking water. 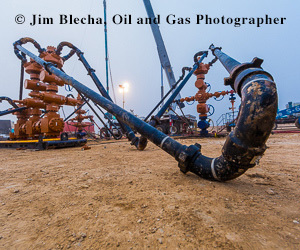 With the shale boom continuing to gather steam, hydraulic fracturing is expected to be the subject of ongoing scrutiny. While the prospects for federal legislative activity in the near future are slight, EPA will proceed with its study of hydraulic fracturing and may continue to explore its regulatory authority over fracturing operations. State regulators and legislators likely will continue to undertake efforts to impose increased regulatory requirements on hydraulic fracturing operations, regardless whether those additional requirements actually serve to mitigate any real risk. These efforts could impact the extent to which the nation can economically access and produce the vast natural gas supplies that could significantly affect the nation’s energy security and lower greenhouse gas emissions generated by America’s energy use. DANIEL M. STEINWAY is a partner in Baker Botts LLC in the firm’s Washington office. He advises corporations and trade organizations on civil and criminal environmental law, and provides representation in health, safety and environmental litigation arising under federal and state statutes and common law causes of action. As part of his HS&E litigation practice, Steinway has managed the defense of multiparty litigations involving environmental and industrial hygiene issues, and has represented corporate defendants in a wide range of civil and criminal HS&E enforcement actions brought by federal and state agencies. He also provides legislative and regulatory counseling to corporate clients, trade associations, business and professional organizations, and governmental entities. He joined Baker Botts after serving as chairman of the environmental practice group at Kelley Drye & Warren LLP. He is the monthly editor of the “Outside Perspective” environmental column for “Corporate Counsel” magazine and a contributing Washington editor for “Pollution Engineering.” He holds a bachelor’s in engineering science from the University of Michigan and a J.D. from George Washington University Law School. THOMAS C. JACKSON is special counsel at Baker Botts LLC in Washington, where he handles all aspects of environmental law. He also helps clients assess proposed rules and other public documents, such as environmental impact statements. Jackson represents corporate clients in many sectors, from residential and commercial developers, energy companies, manufacturing and small businesses, to local governments and trade associations. His experience covers a range of federal environmental statutes, and much of his practice is devoted to advising corporations and business entities on the federal regulation of natural resources. Jackson has represented companies involved in the production and transmission of oil, gas and electricity in connection with various regulatory requirements under federal, state and local laws, such as the potential regulation of well drilling, completion and stimulation activities, and pipeline construction under federal statutes such as the Clean Water Act and Safe Drinking Water Act. He holds a B.A. in political science from Amherst College and a J.D. from Harvard Law School.